ANDOVER, MA., August 8, 2011 – Northwest Logic Inc., a leader in high-performance digital IP Cores, and Avery Design Systems, a leader in Verification IP (VIP) solutions, today announced Northwest Logic’s Expresso 3.0 solutions for PCI Express® (PCIe®) for Endpoint, Root Complex, and Switch have been fully verified and deployed to customers based on Avery’s PCI-Xactor verification models and compliance testsuites. Avery’s PCI-Xactor is a complete functional verification solution for PCI Express 3.0/2.1/1.1 including feature rich models that work in any verification languages including SystemVerilog OVM and VMM methodologies, comprehensive protocol checking, functional coverage monitoring, and dedicated core and chip-level compliance test suites for Root Complex, Endpoint, SR-IOV Endpoint, Switch, and PHY designs. 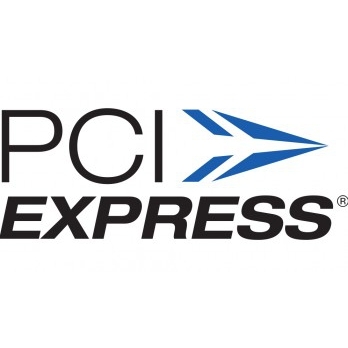 Northwest Logic provides a complete PCI Express Solution. This solution includes Northwest Logic’s high-performance, easy-to-use, silicon-proven Expresso 3.0/2.1/1.1 Cores for PCI Express, DMA Back-End Core which provides high-performance scatter-gather DMA engines, Drivers (Linux & Windows) and Application software. For a complete system design Northwest Logic optionally provides its high-performance DDR3/DDR2/DDR SDRAM Controller Cores and add‐on cores (AXI/AHB, Multi‐Port, Reorder,etc.). These solutions are available separately or as a single, fully integrated solution. Founded in 1999, Avery Design Systems, Inc. enables system and SOC design teams to achieve dramatic functional verification productivity improvements through Insight formal analysis for improved functional verification and DFT closure, robust core-through-chip-level Verification IP for PCI Express, USB, xHCI, UAS/BOT, AXI3/4, and AHB standards, and scalable distributed parallel logic simulation. The company is a member of the Synopsys SystemVerilog and VMM Catalyst Programs, Mentor Graphics Modelsim Value Added Partnership (VAP) program, and has established numerous Avery Design VIP partner program affiliations with leading IP suppliers. More information about the company may be found at www.avery-design.com. Solution (DDR3, DDR2, DDR, Mobile DDR SDRAM; RLDRAM II), and MIPI Solution (CSI-2, DSI). These solutions support a full range of platforms including ASICs, Structured ASICs and FPGAs. For additional information, visitwww.nwlogic.com or contact info@nwlogic.com.